Chris Edwards, principal dentist, has marked 20 years at Altrincham Dental Practice with the installation of an eight foot wooden eagle outside our Manchester Road premises in Altrincham. Created by local tree sculptor, Tim Burgess, the imposing feature has taken up residence overlooking the busy A56 and been well received by patients of our busy family dental practice. 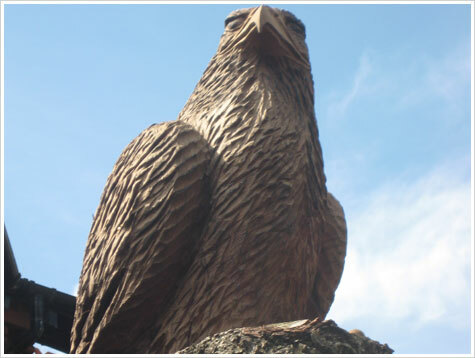 "The arrival of the eagle has been a real talking point with people of all ages and certainly a positive way to celebrate my landmark work anniversary," comments Chris. Altrincham Dental Practice is encouraging all young spooks and ghouls to remember to brush their fangs this Halloween. 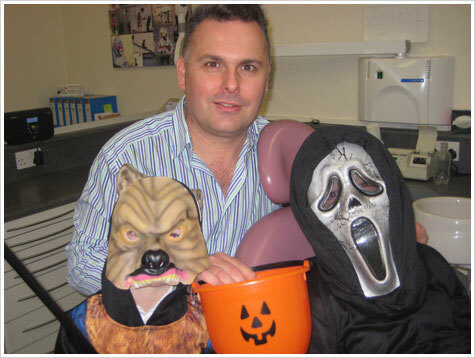 "Trick or Treating is great fun but children need to make sure they give their teeth an extra special clean after all those sweets," said Chris Edwards principal dentist at Altrincham Dental Practice. "Regularly brushing your teeth twice a day and keeping sweet for an occasional treat will mean that we won't see any Halloween horrors!" Patients at Altrincham Dental Practice have plenty to smile about thanks to the ‘Smiley’ – the symbol of this year’s National Smile Month campaign. We supported the British Heart Foundation’s Red for Heart month in February. Poor oral health has been linked to an increased risk of heart disease, so encouraging patients of all ages to brush their teeth twice a day and floss regularly - between visits to the dentist or hygienist - is an important part of keeping gums healthy. 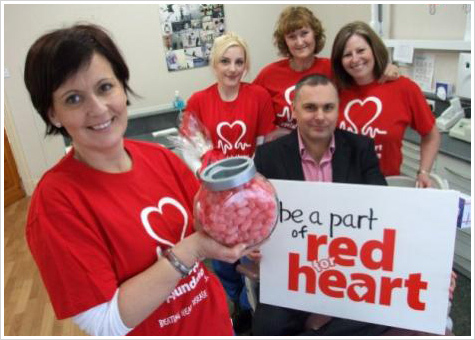 Patients were invited to donate to this life-saving charity by guessing the number of red sweets in a jar – sugar free naturally! Congratulations to one of our patients who gave the closest answer and was awarded a bottle of champagne. We are delighted to welcome Helen Dewhurst to the Altrincham Dental Practice team. An experienced dental nurse, Helen will be assisting our dental team and helping to look after patients during key practice sessions. Helen has worked in the local area for a number of years. 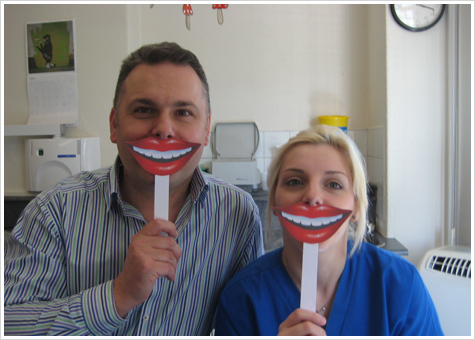 In fact, she first worked with Chris Edwards (owner of Altrincham Dental Practice) in 1994 at another practice. We are pleased to have such an experienced dental nurse join us. We have launched a competition to find the person who is our longest-standing patient. We know the practice was here in the 1940s but our records don’t stretch much further back than the 1960s. With the launch of our new website, we thought it would be interesting to balance the new with an acknowledgement of the practice’s past and continued presence in the local community. Now known as Altrincham Dental Practice, it was previously AP Corless and run by Arthur Farnworth before that. We would love to hear from anyone in the local area who visited the practice as far back as 1950 or before – please contact the team. The winner will receive champagne and flowers.